From a handy folding shift lever that eases entry to the driver’s seat, to a combination of intuitive controls and conveniences that help the driver remain comfortable while staying in complete command, the Nissan Civilian is as satisfying for drivers as it is for passengers. While the Civilian excels at driving passengers in luxury and comfort, it also excels at bringing along all of their things. From rear boot and top deck stowage areas, to an available refrigerator that keeps your cool things cool, the Civilian handles any cargo with ease. 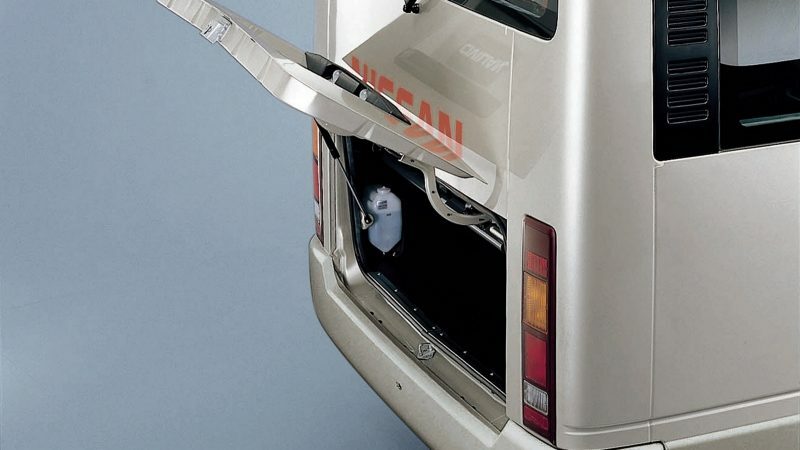 With an interior light and a high-opening lid, the luggage compartment makes loading and unloading easier. 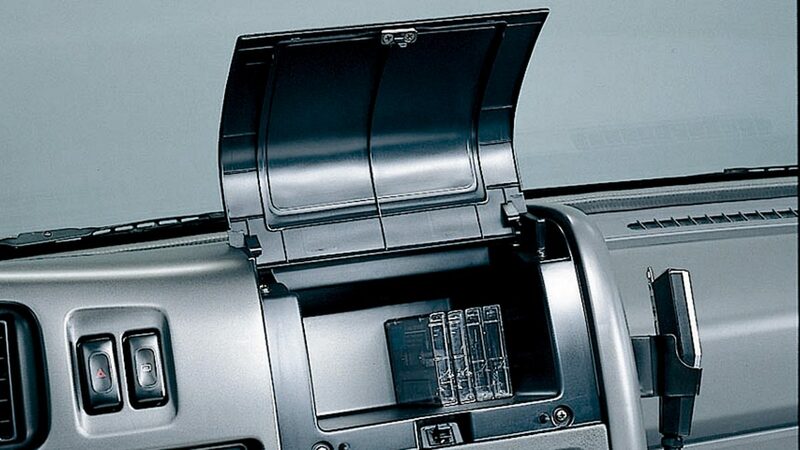 Gas stays that keep the lid in place and ensure it opens and closes with ease are an added touch. Perfect for storing maps, logbooks or other items that need to be accessed frequently. With a choice of automatic folding or sliding doors, an available auto-slide step, and entrance steps that are spaced for easy climbing, the Civilian makes getting inside easier for your passengers. And with optional rear swing doors, adding luggage becomes a breeze as well. 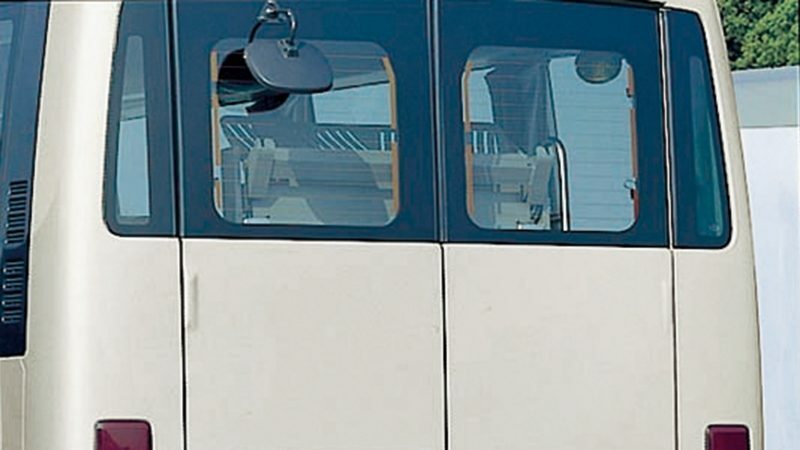 Greet every passenger with the convenience of automatic opening and closing doors. 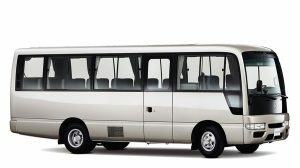 Higher trim levels such as GL and SV models come standard with auto sliding doors, while lower trims and school bus models come standard with auto-folding doors. From cameras that provide multiple views around the vehicle, to active and passive safety features that help the driver maintain control in the event of an emergency, the Civilian employs a comprehensive approach to safety that helps ensure everyone onboard reaches their destination securely. 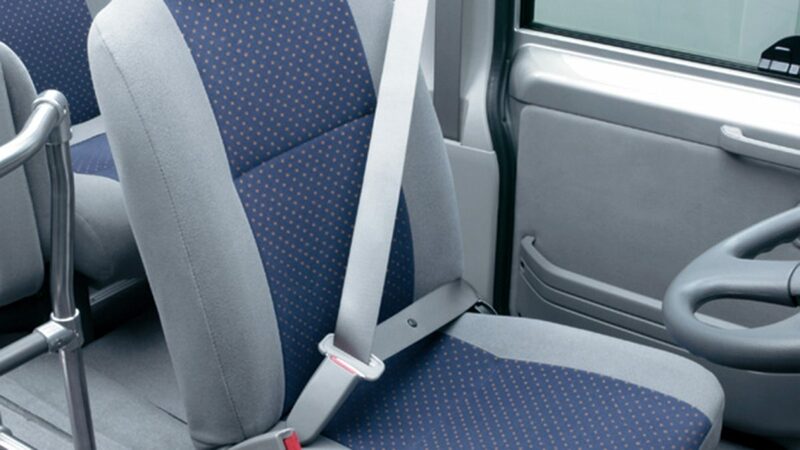 Safety is another important aspect of the Civilian with its 3-point seat belt for the driver, 2-point seat belt for the front passenger, and 2-point for all other passengers *(opt.) *Not including spare seats. Halogen headlamps are standard on all models, while halogen fog lamps come standard on the GL. Together, they increase visibility at night and during inclement weather. 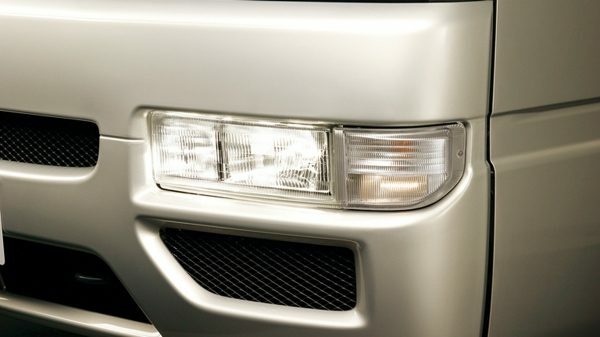 Standard on GL models, these lights conveniently illuminate the area behind the vehicle, resulting in added visibility and safety for passengers boarding at night.